I have always been hesitant to invest in a four-cup coffee maker. They are often bulky, has a lot of parts to take apart and clean, and never makes coffee as good as the one I buy from coffee shops. But the hassle of having to go out just to get a decent cup of brewed coffee has slowly worn down my hesitance to find a good coffee maker. When it’s cold and rainy, the perfect weather for a cup of hot coffee, putting on your rain gear and venturing out into the cold is the last thing you want to do. Plus, coffee shops have gotten so crowded and noisy these days that whatever peace you were hoping to get as you sipped your liquid gold gets shattered the moment another group of caffeine-deprived individuals enter the store. Lastly, if you get a cup of coffee from a popular coffee chain every day, it could set you back over $60 a month. That’s a whopping $720 a year! You will only spend a small portion of that to buy good beans and a good 4 Cup Coffee Maker. 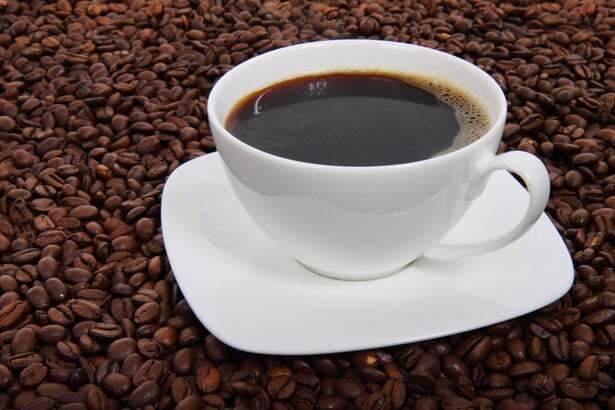 Why Choose A Drip Four Cup Coffee Machine Over Other Types of Coffee Makers? There are many kinds of coffee machines. There’s the pump espresso machine, coffee capsule machines, and the traditional drip coffee maker. Each have their pros and cons but there is a reason why the drip coffee machines are still the most popular type. 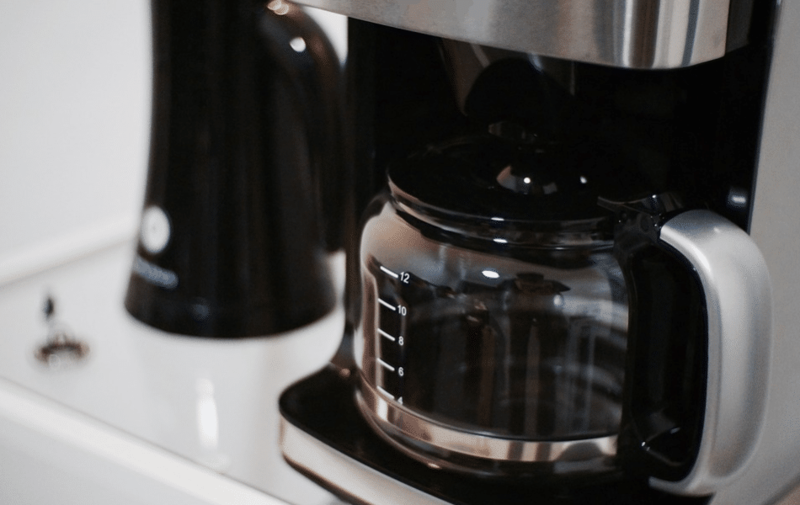 What is a drip coffee machine anyway? With this type of small coffee maker, you need to fill its chamber with water and its basket with coffee grounds. The water will slowly “drip” through the coffee grounds. It will then go through the filter. The water that flows absorbs the flavors and aroma of the ground coffee beans. 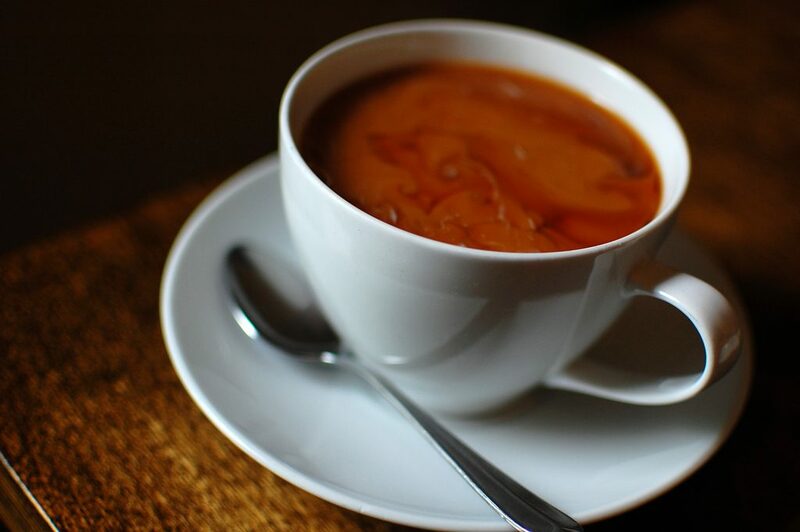 The golden-brown liquid is then collected in a coffee pot or carafe. This sits on a heated plate, so the coffee stays hot. The most common reason why more people prefer the regular drip coffee machine is the price. 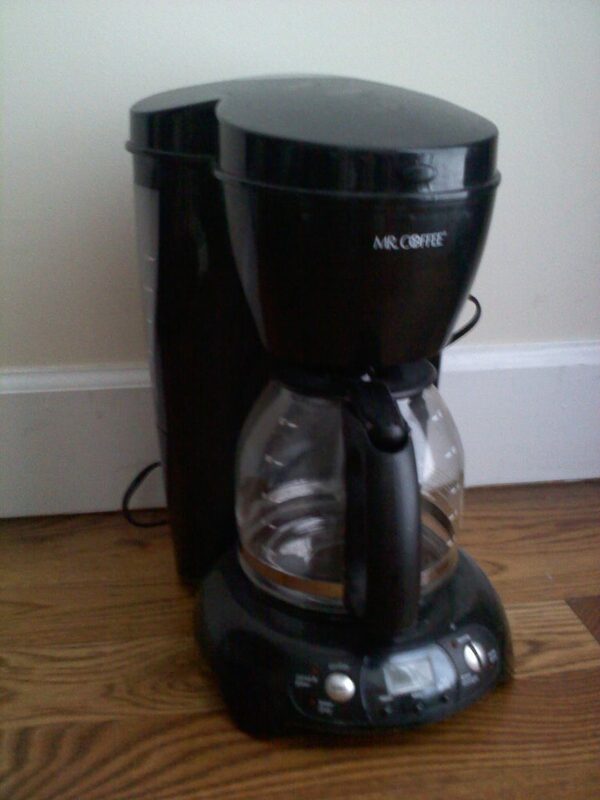 It is by far the cheapest type of coffee maker you can get. It typically only serves a small amount of coffee. It doesn’t use pods, which can be hard to find in the variant that you like. Plus, the plastic containers cannot be reused nor recycled. It is convenient to use and doesn’t require separate boiling of water unlike some pour-over contraptions. You just fill the chamber with water, the filter basket with grounds, close everything, then hit the on button. 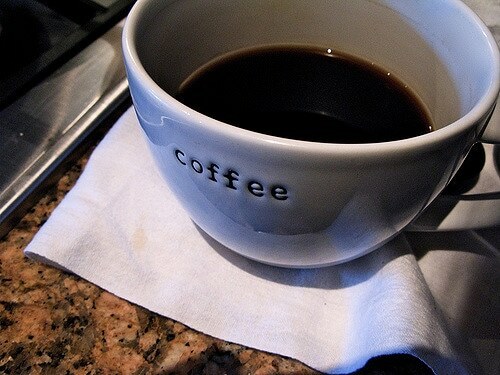 You get a good cup of coffee after a few minutes. If you want something that will just serve you great brewed coffee every morning, sans bells and whistles, the drip coffee maker is the best for you. There are so many four cup coffee makers out there. We will look at the top four that you can buy Online. Cuisinart was first known for their food processor. It was hailed by celebrity chefs like Julia Child as a revolutionary kitchen appliance. Since 1989, the brand has been producing a wide array of culinary tools that are meant to help people “Savor the good life.” Will the Cuisinart 4-cup coffeemaker let you savor the good life? Let’s see. As the name suggests, this particular machine will let you brew just a small amount of coffee. This is perfect for a household that has only 1 or two coffee drinkers. It is ultra-compact, so it doesn’t really eat up much space on your counter. It is very light-weight. 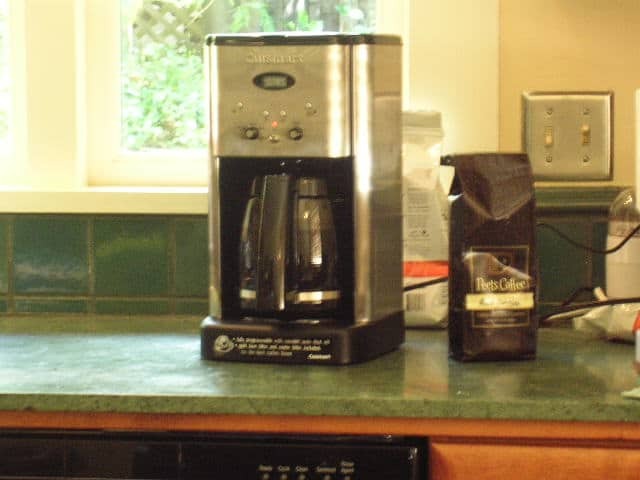 The coffee maker only weighs 1.8 pounds before putting in water, so it is easy to move around the kitchen. The power cord is a little short. It is only 2 feet long, so if your wall socket is far from your counter, you will have to use an extension cord. Additionally, it does not retract into the machine. You can simply fold it up and secure it with a cord organizer to keep the area looking neat and tidy. It only takes around 5 minutes to brew 2 cups and roughly 10 minutes for the full four cups. You can hit the on-button and do something else and your coffee will be ready in no time. Brewed coffee is collected in a stainless-steel carafe. It is safer to use than glass because it cannot shatter or break. It is also better than plastic carafes that could melt. The carafe has a no-drip spout which makes for easy pouring. This is great for people who are still groggy in the morning. No more spilling your coffee because you are still too sleepy to function. Unfortunately, there are numerous posts of the carafe leaking at the part where the metal meets the plastic. It also has a tendency to dribble. Some people claim that they have resorted to pouring their cups of coffee over the sink to avoid extra clean up. This is very ironic for a carafe that claims to be no-drip. The carafe has a knuckle-guard. That keeps you from burning your hand on the hot surface of the carafe. Since the carafe is made out of metal, it conducts heat so much better than other materials. So, make sure to avoid touching any of the metal parts of the carafe when you handle it. There are some complaints posted about the brewed coffee coming out tasting plasticky or metallic. Some people say the weird taste vanishes after washing the basket and the carafe several times with white vinegar. Others claimed that the taste never goes away even after numerous washings. One of the features that people love about the Cuisinart 4 cup stainless steel coffee maker is its Brew Pause feature. This is for people who need their caffeine asap and cannot wait for the carafe to fill up before pouring themselves a serving. The Brew Pause function allows you to pull out the carafe mid-cycle and stops the coffee from flowing, causing any spills. This coffee maker doesn’t have a timer function. This is one downside to buying the Cuisinart coffee maker. It does have a 30-minute automatic shut-off feature. This is perfect for people who are in a rush during the mornings. You wouldn’t have to worry about leaving the coffee maker on and burning anything down as it will simply switch off in half an hour when not in use. It also has a useful “on” indicator light to let you know that it is brewing coffee. 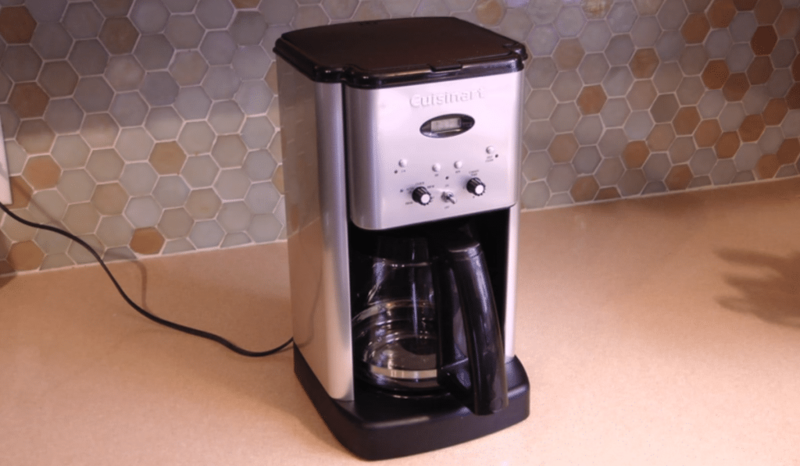 Cuisinart used BPA-free materials for this coffee maker, so it is something less to worry about. BPA stands for Bisphenol-A. 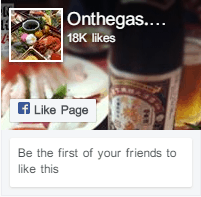 It is a chemical that imitates estrogen. Products that contain BPA can leach into beverages and pose health risks. The water filter is not replaceable. Additionally, you will need to use a #2 cone filter or buy a non-paper one to avoid using paper filters. This is something that you might consider getting so you won’t have to keep replacing the paper filters and producing trash. The manufacturer says the parts are not dishwasher safe, so you would have to wash everything by hand using mild detergent. Some people who accidentally put the pot, lid, and basket in the dishwasher said it came out okay. It is advisable to follow the manufacturer’s instructions though, just to be on the safe side. There’s a very reasonable price for a decent 4 cup stainless steel coffee maker such as this. 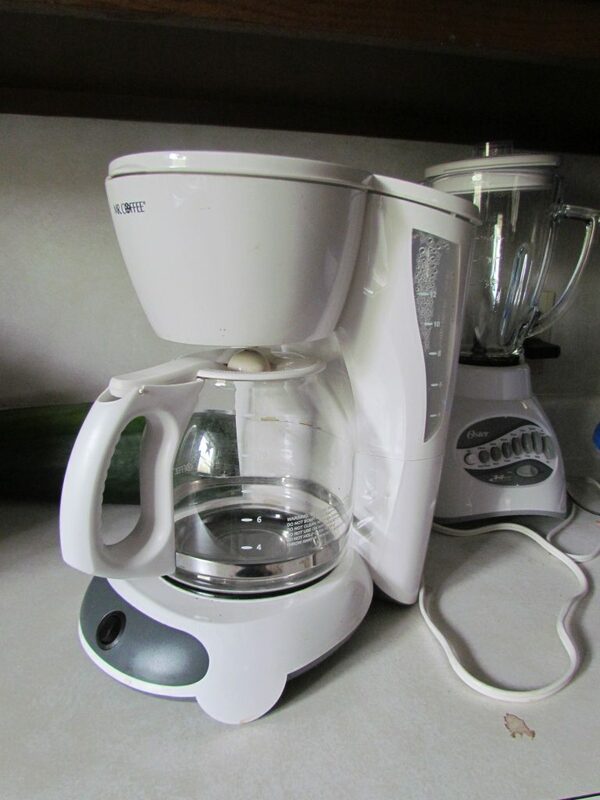 But if you are looking for a 4-cup coffee maker with timer, this is not the unit for you. Who doesn’t know of the Mr. Coffee brand? It has been mentioned many times in different television shows and movies and has been endorsed by celebrities like Joe DiMaggio. Mr. Coffee is a trademark of Newell Brands. It has been manufacturing drip coffee machines since the 1970s. This small coffee makeris a little bigger than the Cuisinart but is still small enough for most countertops. It is also slightly heavier than the previous machine we looked at but is still light enough should you want to move it around your kitchen. The power cord is also short, 2 feet, so the coffee machine should be situated very near a power source. There is a part at the back where you can wind the cord, so it isn’t left dangling out on the counter when the coffee maker is not in use. 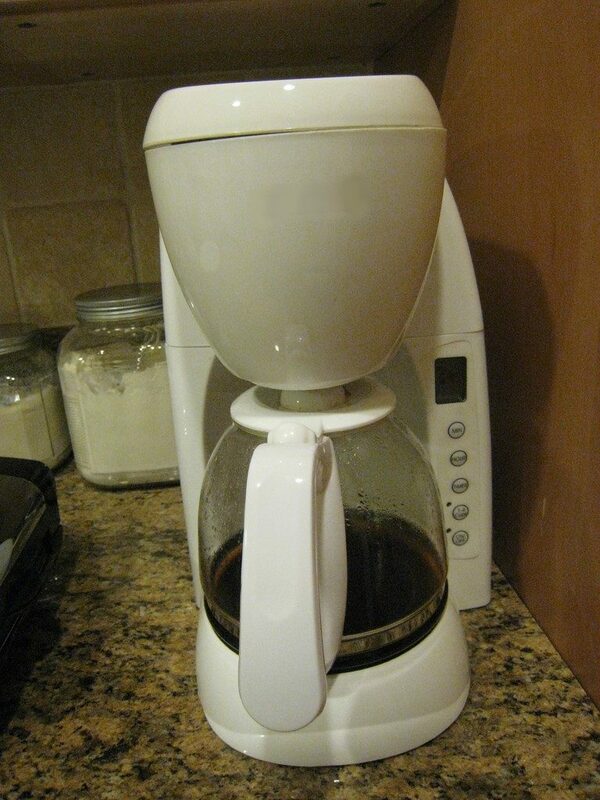 Before you use it for the first time, run the coffee maker twice with just plain water. Once it is clean, you can pop a paper filter (or a permanent filter) in the basket and scoop in the desired amount of coffee grounds. Fill the unit with water. The Mr. Coffee coffee maker features dual water windows on each side, so you can easily see the water levels in the machine and avoid overfilling it. Close the lid. Wait for the clicking sound to know that you have closed it properly. Make sure that the carafe is in place. Now, all you need to do is press the on button and it will start brewing. You will know that it is working because a green light on the button will switch on. It brews coffee extremely fast. The first cup is available in less than 2 minutes while the entire cycle lasts for about 7 minutes. The coffee is collected in a glass carafe, so you can easily see what is happening. The downside is that the carafe can break. The carafe is designed so you can pour without spilling. There is no alert sound to let you know if the machine is done brewing. You will just have to listen to it. Once the gurgling sound stops, you will know that the 4 cups of coffee is ready. Should you want to cup of coffee mid-cycle, you can simply pull out the carafe (aka decanter) and pour yourself a cup of coffee. The Grab-A-Cup auto pause feature stops the cycle, so the coffee will not continue flowing out. You just need to put the carafe back within thirty seconds or you will be mopping coffee off of your counter. Just like the Cuisinart model, this small coffee maker doesn’t have a timer. It also doesn’t have an automatic switch-off feature. You will need to switch it off and pull the plug manually. This is something that you should consider if you are always rushing in the morning. The Mr. Coffee machine features a Lift-and-Clean filter basket which easily detaches so you can wash it. The filter basket, glass carafe, and lid are safe to wash in the dishwasher however, it is best to just hand wash these things to be safe. The warming plate is stain-resistant and quite easy to clean as well. You just need to wipe it with a damp cloth to prevent it from getting sticky. Its price is very reasonable for a no-fuss small coffee maker. There are some reports posted that the machine lasted them only a few months to half a year before breaking down. 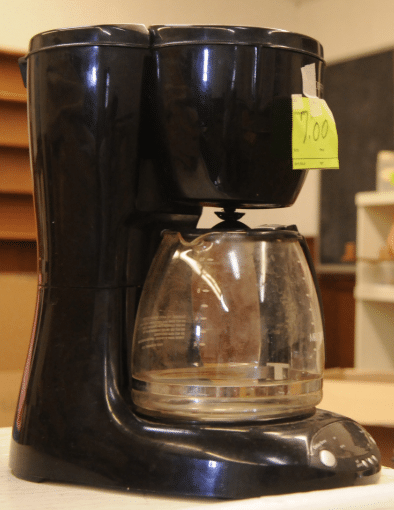 They may have gotten units with manufacturing defects as so many others posted that they have had their Mr. Coffee 4-cup coffee makers for over a year and are still happy with their purchase. There is a dearth of information on the manufacturer of this Coffee Pro machine. After hours of searching, the only relevant information I found is that it is manufactured in China. They also offer percolating urns and coffee filters. Beyond that, your guess is as good as mine. The Coffee Pro 4-cup coffee maker’s design is very simple. It has the chamber the holds the coffee grounds basket and water, the heating element, and the glass carafe at the bottom. It is very compact. Of the four small coffee makers, this is the smallest. It will definitely fit in your small countertop and can be stored in most shelves. It has a 2 feet power cord that has no winding feature. It is simple enough to use. You just need to clean it before using it for the first time. Cleaning entails running the machine using just water. There are some posts claiming that they had to do this step numerous times to get rid of the plastic taste in their coffee. To make this work better, you might want to add a few teaspoons of white vinegar to the water as you clean it. It requires the use of a cone filter. It doesn’t come with free sample filters, so you’d have to buy your own either from Amazon or from the grocery store. The coffee machine doesn’t have a water level indicator, so you have to rely on the pot (carafe) to measure the amount of water that you pour in. The opening of the water reservoir is a little bit small, so you have to be very careful in pouring water in. Some people who have used this particular machine for months recommend that you moisten the filter before adding the coffee. This way, it doesn’t fold in on itself once you close the filter basket. Not only will this ensure that the water runs over the coffee grounds, but it also saves you on clean up because the coffee grounds won’t end all over the inside of the filter basket. Once you have poured in the water and placed the coffee grounds in the filter, simply close the filter basket and lid and press the touch button. It doesn’t have a timer, so you can’t preprogram it to brew ahead. It also doesn’t have a brew pause function. If you want to get a cup of coffee, you’d have to wait for the machine to finish its cycle or risk dripping coffee all over the base of the machine. The coffee is collected in a glass decanter, so it is important to handle it with care. Coffee pro only has a replacement decanter for its 12-cups machine, so you may have to buy a universal replacement carafe as your 4 cups coffee pots. Many of the people who have tried using this raved that it produces richer-tasting cups of coffee because of the cone design of the filter. A lot of them have complained about the decanter’s spout though. They say that it could’ve been better designed to avoid spilling as you pour coffee into your mug. It has a 2-hour automatic shut-off feature. This is perfect for people who may be too busy to check if they have switched off their coffee machine before they ran out of the house. It is fairly easy to clean. You just need to unplug it first. Pluck out the filter with the used coffee grounds. Detach the filter basket. The lid, decanter, and basket can be washed using mild detergent and water. The body of the machine may be wiped with a damp cloth from time to time to keep the dust off. For a very simple four cup coffee maker, I think the price is a little too high. There are so many models of the same function that is priced much lower than that. Maybe this is the reason why only fourteen people left their reviews for this product. Finally, we get to the last coffee maker. It is also made by Mr. Coffee. Of the four I got to try, this is the only programmable 4 cup coffee maker. Just like its non-programmable counterpart, it is also very compact and lightweight. It’s black and grey look will go perfectly with any modern kitchen. It even has a cord storage at the back, so you can keep it out of sight when not in use. Nothing says contemporary like sleek or organized. It’s nothing special though. It is not retractable. There is just a place for the cord to be pushed in, so it is not in the way. The cord is not very long. It only reaches up to two feet. Just like the others, it needs to be placed near a power source. Clean the unit first by running a few cycles with just water. Once that’s done, you can start brewing your first four cups of water. You just fill the reservoir with water. The dual water level window is very helpful. You can easily see how much water you’ve already poured in. This is great, so you don’t overfill the water chamber. The opening of the water reservoir is very big, so you can fill it up using a pitcher, the carafe that goes with the coffee maker, or directly from the faucet. 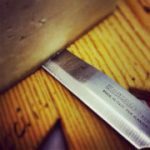 It also makes the clean-up easier because you can reach into it and scrub the inside. Once the water has been filled, you can then pop in a filter. The brewing basket takes a standard paper filter. Scoop in your favorite coffee grounds, make sure that the water spout is in place and close the lid. Turn the machine on by pressing the on button. It will start brewing immediately. This coffee maker will not signal you if it is done brewing four cups. The glass carafe is marked for 4 cups of coffee though, so you would know that it is done by checking the coffee level in it. You will also hear that the machine will stop gurgling. This unit comes with a Grab-a-cup auto pause feature. It will allow you to grab the carafe and take it out without letting the coffee continue to flow out. This is great for people who need their caffeine fix even before the fill cycle is done. Another feature this unit has that none of the other three possesses is a programmable delay brew feature. You can press the delay brew button and set what time you want the coffee maker to start brewing coffee. After setting the hour and minute, you just need to press the delay brew button again to set it. This feature allows you to set everything up before you sleep and wake up to freshly brewed coffee. 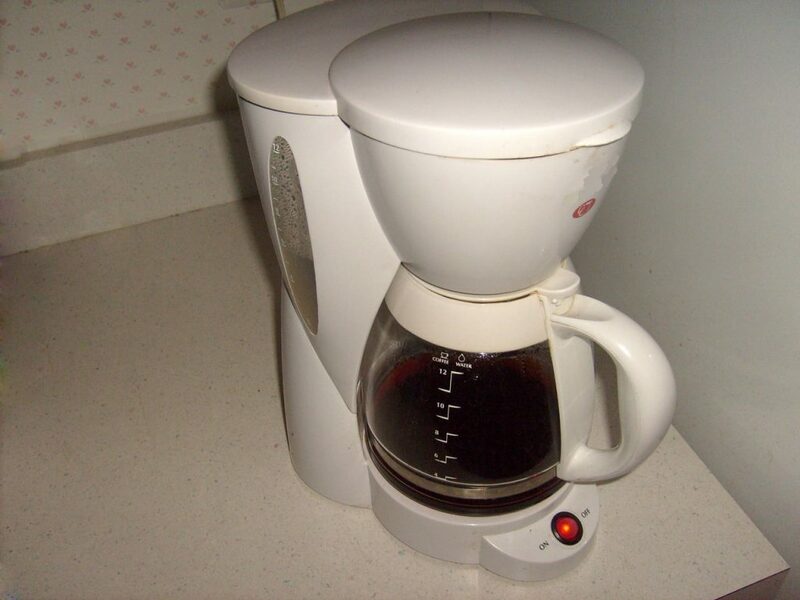 This 4-cup coffee maker with timer is a blessing for those who simply cannot function properly without coffee. Once you are done with your cups, you can easily clean the coffee maker by fishing out the used filter and coffee grounds and throwing it away. The filter basket pops out easily as well. You can wash this, the carafe, and the lid in the dishwasher. The water reservoir drains easily too so you can clean that area without any fuss. Give the body a light wipe-down now and again to keep the dust from accumulating. It’s that easy to clean. Since the carafe is made of glass, it loses heat really fast. Although the heating plate works well, it shuts off automatically after one hour. If you are unable to finish the four cups of coffee during that time, you can just pop in the cup in the microwave for a few seconds. The automatic shut-off feature is great because you won’t have to worry about accidentally leaving the coffee maker on. It won’t burn down your kitchen. The price is fairly reasonable. Here is a side-by-side comparison of the important features of each four-cup coffee maker. This might help you decide which one to get for your home. 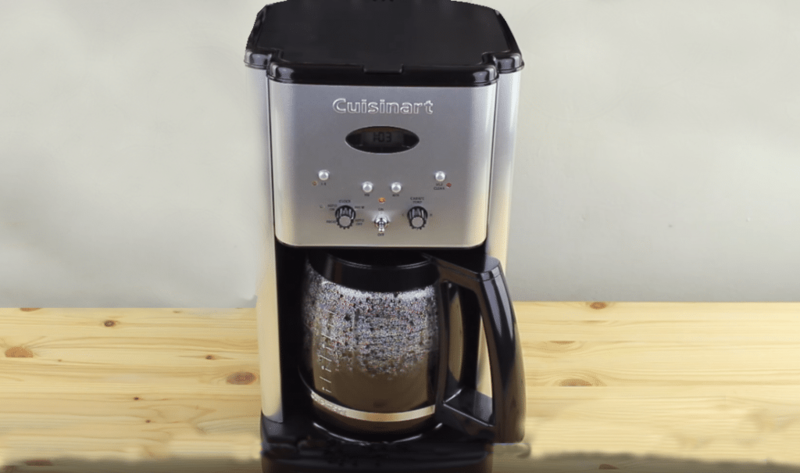 Conclusion – Which 4 Cup Coffee Maker is The Best? 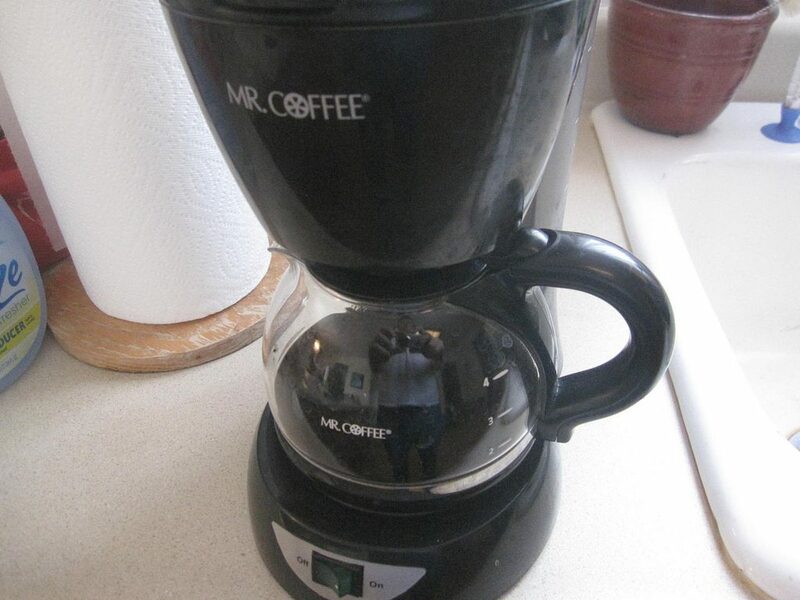 Hands down, the best coffee maker of the ones here is Mr. Coffee 4-cup Switch Coffee Maker. It is the most affordable one. It doesn’t have a timer and it is not programmable, but it is super easy to use. It even has a way to keep the power cord organized so it doesn’t look untidy when not in use. The water level windows are a plus. The only downside to getting it is the breakable carafe, which you can replace should you accidentally bang it on your counter. Additionally, it doesn’t have an automatic switch-off feature, so you might have to give it a glance right before you step out the door on your way to work or school. If you want to wake up to a carafe of freshly brewed coffee and are willing to pay a little more, you can opt for the programmable coffee maker by the same manufacturer. Not only can you set the machine to brew up to 24 hours ahead, it also has an automatic shut-off feature which the non-programmable model doesn’t have. So, if you are one of those people who cannot function without getting caffeine in their system first thing in the morning, these models of 4 cup coffee maker is the perfect one to get for your home. 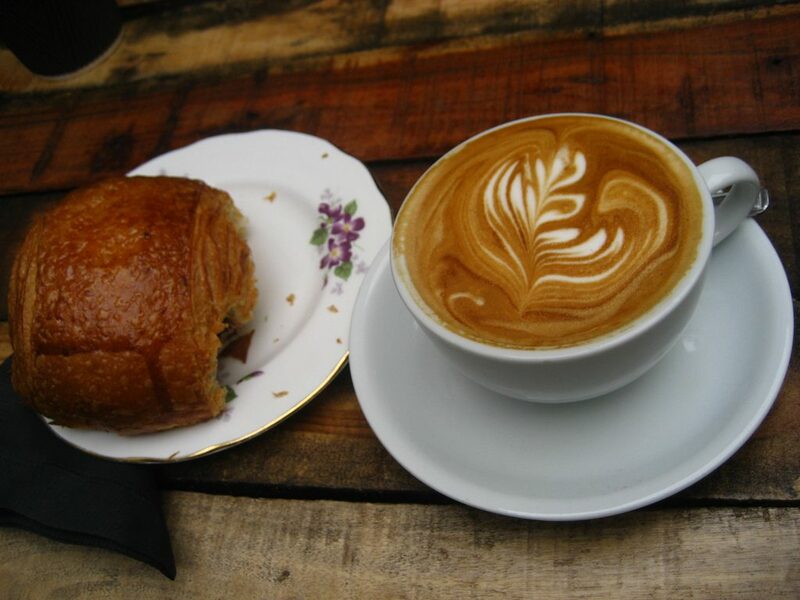 You won’t have to waste time lining up in coffee shops just to get an expensive caffeine fix. You can simply brew the perfect cup in your own kitchen.